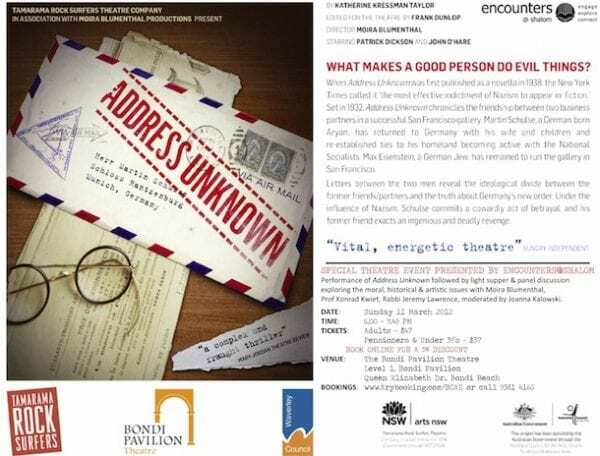 Browse > Home / Uncategorised / Mar-11 Sydney: What makes a good person do evil things? Mar-11 Sydney: What makes a good person do evil things? The Shalom Institute presents a special theatre night featuring the play “Address Unknown” directed by Moira Blumenthal.